Untold Wants Theatre is excited to announce that it is bringing two 6-week Acting Classes to Vancouver! 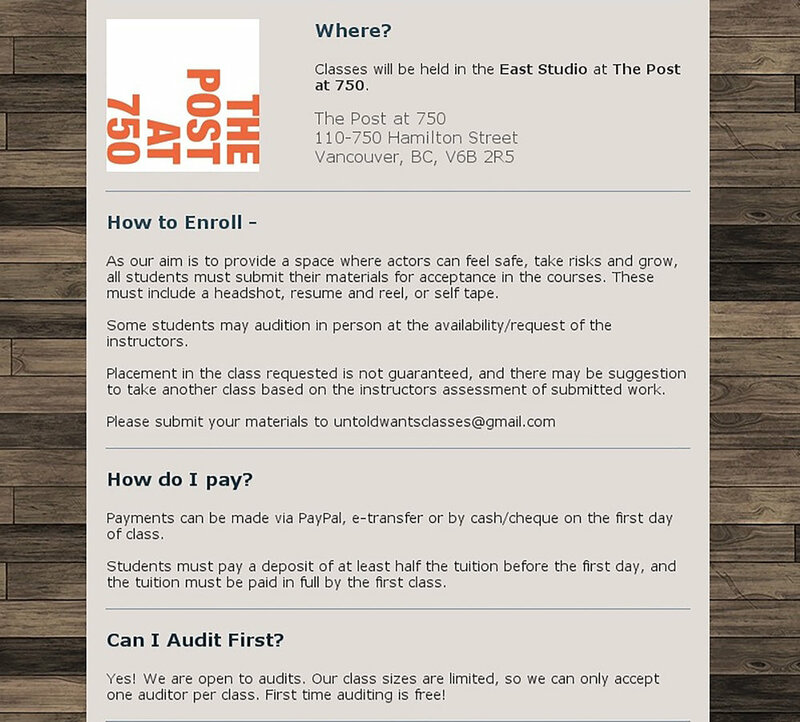 Newer PostSecond Round of Vancouver Acting Classes! Older PostThe Human Ear - The Reviews Are In!